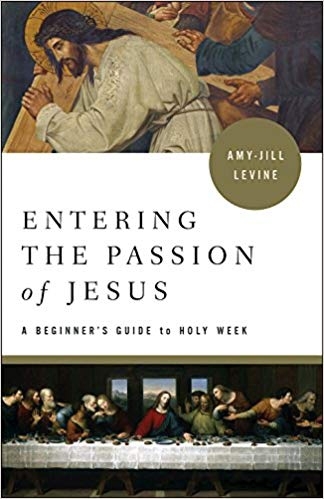 For the season of Lent, we will be hosting a churchwide study of Entering the Passion of Jesus: A Beginner’s Guide to Holy Week by author, professor, and biblical scholar Amy-Jill Levine. Jesus’ final days were full of risk. Every move he made was filled with anticipation, danger, and the potential for great loss or great reward. The author explores the biblical texts surrounding the Passion story. She shows us how the text raises ethical and spiritual questions for the reader, and how we all face risk in our Christian experience. Study groups will meet for six weeks, on the same day of the week at the same time. Books will be available to purchase for $15 in the foyer on Sundays, February 24 and March 3. SAN Wesley Hall, Facilitated by Revs. 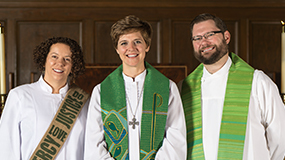 Karen Vannoy and John Flowers, Register Here. SAN Room 215, Register Here. FLC Room 102, Register Here. 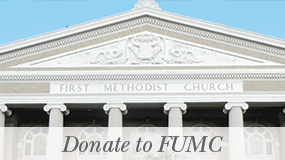 Home of Howard and Marijo Hartman, Register Here. Home of Scott and Deborah Wilder, Facilitated by Amy Wink, Register Here. Home of Chip and Jan Morris, Register Here.